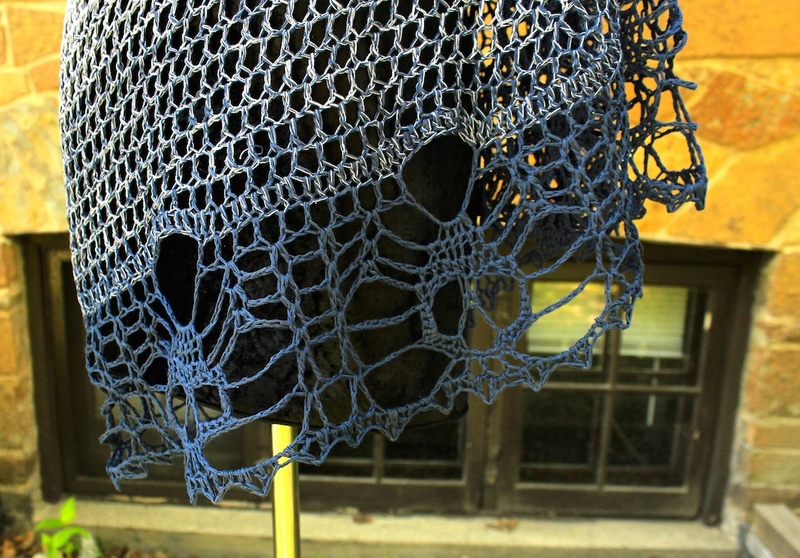 I just finished blocking this shawl a couple of days ago and I’m pretty happy with it. SIDENOTE: I’m not necessarily overly ecstatic about the photos though since the yarn is closer to purple than blue and the resulting shots seem to lean too far in a blueish direction. 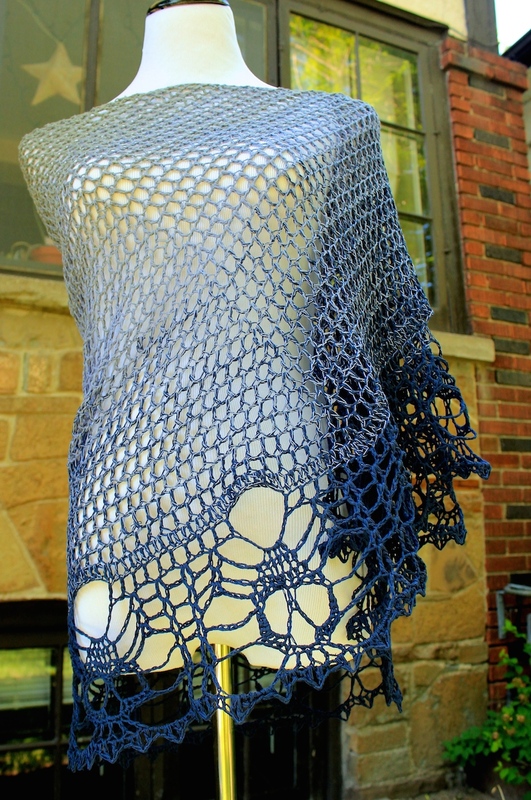 Making this type of shawl is incredibly relaxing as the mesh body is a pretty simple repeat. Not to mention, it crochets up fairly quickly. The edging is where everything changes. 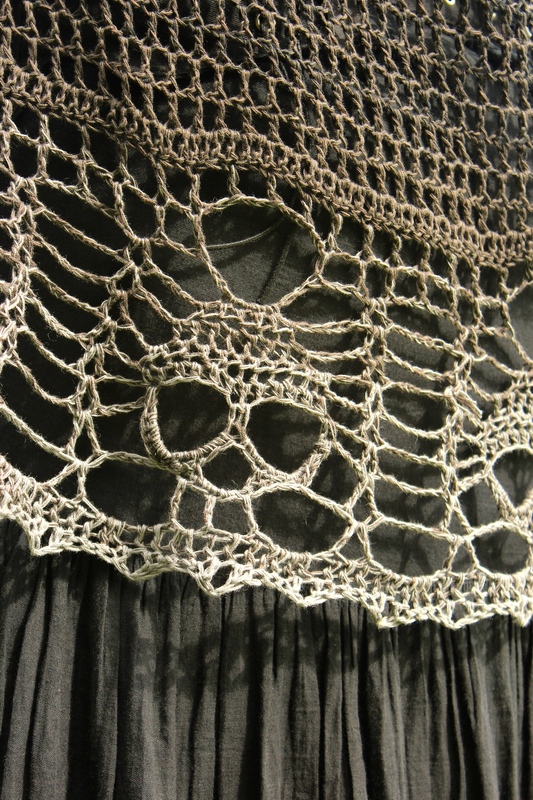 The skulls are somewhat based on the skull shawl doskallesjal pattern that is out there but it crochets from the top down instead of the bottom up. The body is the result of another pattern I came across in my travels last year. Every time I make one of these, the skulls change depending on the stitches I use. Since it isn’t written, I depend on my memory and if I don’t make them often enough, it’s like coming up with a pattern all over again, each time. 🙂 A challenge…that makes me happy. Sadly, this is probably the closest I have come to freeform crochet…which isn’t all that close. I’m a Capricorn and I am quite good at (and more comfortable) following instructions. In the meantime, I’ll continue with this pattern…made four so far…more to come!